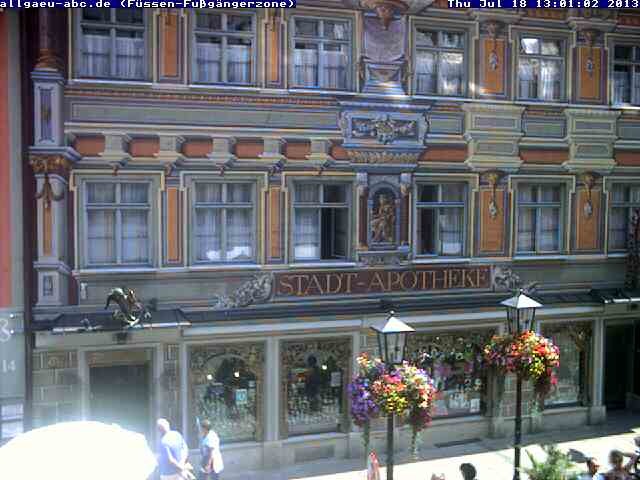 This live picture shows the Reichenstrasse (shopping precinct) with a view to the city fountain. picture will be refreshed in regular intervals. Random picture captured by the camera at mountain station Tegelbergbahn over Saeuling, Breitenberg, Fuessen, Bad Faulenbach, Schwangau and the Forggensee or picture from the valley camers. The picture will be updated in regular intervals. This live picture shows the Neuschwanstein castle. The picture will be updated periodically.